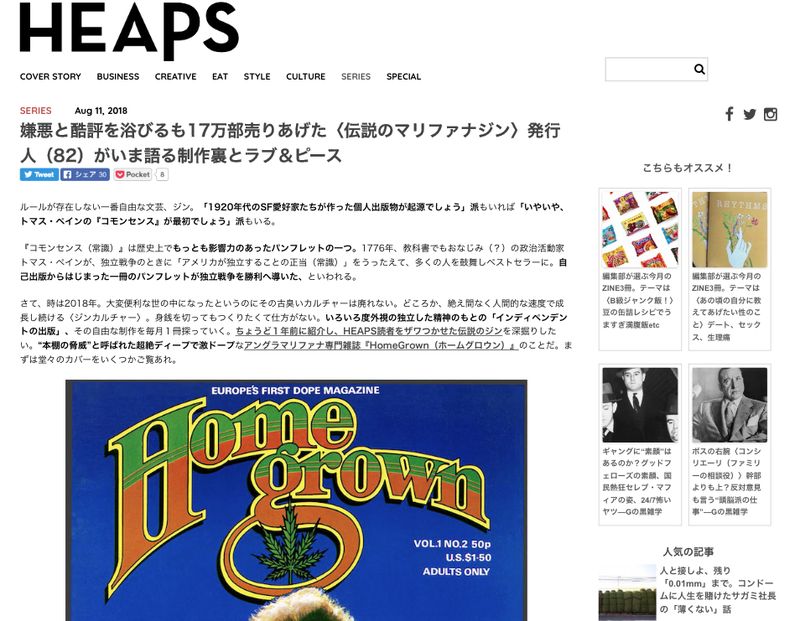 Check out this brilliant feature by Japan's renowned HEAPS magazine, drawing comparisons between political activist Thomas Paine's radical 1776 pamphlet 'Common Sense' and Lee Harris' HomeGrown Magazine. Read the translated version here. In conjunction with YOUTH CLUB Archive.